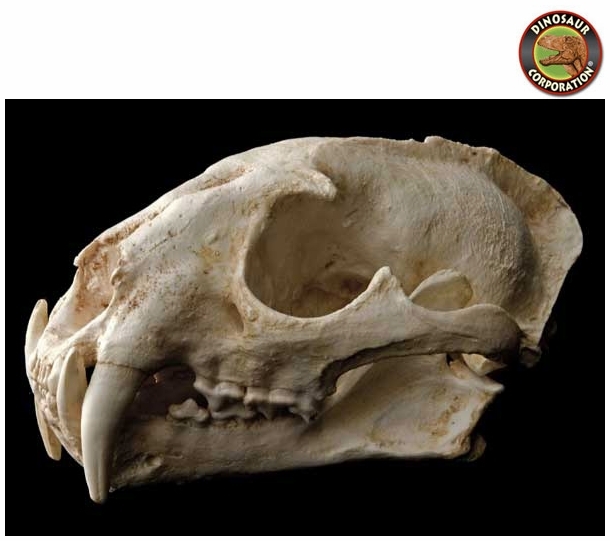 Clouded Leopard skull replica is cast from original specimen. Clouded Leopard (Neofelis nebulosa). It is found in southern China, the eastern Himalayas, north-east India and south-east Asia. The clouded leopard (Neofelis nebulosa) is a cat found from the Himalayan foothills through mainland Southeast Asia into China, and has been classified as Vulnerable in 2008 by the International Union for Conservation of Nature (IUCN). Its total population size is suspected to be fewer than 10,000 mature individuals, with a decreasing population trend, and no single population numbering more than 1,000 adults. Clouded leopards weigh between 11.5 and 23 kg (25 and 51 lb). Females vary in head-to-body length from 68.6 to 94 cm (27.0 to 37.0 in), with a tail 61 to 82 cm (24 to 32 in) long. Males are larger at 81 to 108 cm (32 to 43 in) with a tail 74 to 91 cm (29 to 36 in) long. Their shoulder height varies from 50 to 55 cm (20 to 22 in).